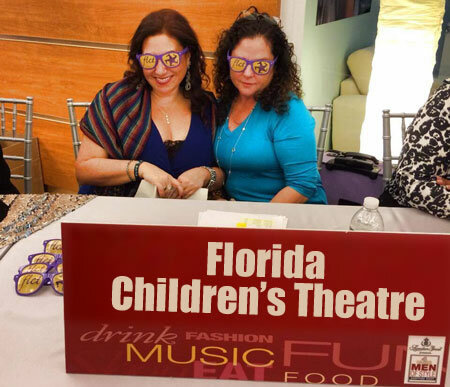 Florida Children’s Theatre, Inc. (FLCT), a 501(c)(3) not-for-profit organization, is an educational center for theatre arts serving children and families across South Florida. The oldest documented children’s theatre in the state of Florida, FLCT was founded in 1952 by two mothers in a garage and was later incorporated in 1959. The theatre quickly grew to be the first cultural organization in Broward County to purchase its own building and the first to perform at Parker Playhouse, the Broward County Main Library Theatre and Dillard Center for the Arts. Each year, FLCT produces a season of five mainstage productions and offers year-round classes in acting, creative drama, and other theatre-related skills. A full range of arts and educational outreach programs, a vibrant summer camp, and a variety of other performances round out the programming. FLCT is headquartered at the Galleria Mall and offers programming at locations across Broward County and beyond, impacting over 25,000 individual each year. FLCT’s Mission: Teaching the art of life through the magic of theatre. The theatre accomplishes its goals as it continues to provide this region’s residents and visitors a source of enrichment and enjoyment in the cultural arts. FLCT provides opportunities for young people to participate regardless of economic, cultural or ethnic backgrounds. Each year, over 25,000 children and adults are impacted by FLCT’s programming. Classes designed to provide formal theatre training and to develop self-esteem, discipline and creativity in children ages 4 to 18 years old. Classes take place at the FLCT Studio Theatre at the Galleria Mall in Fort Lauderdale. Productions provide a forum for youth and adults to create and collaborate during the main stage shows of youth performing for the public, the young repertory productions for teenage actors, and the family productions where parents, children and community leaders can audition to perform together. Outreach Programs serve residents and visitors to Broward, Miami-Dade and Palm Beach Counties who would otherwise be unable to participate in programs due to financial, geographic or cultural constraints. Programs include arts infusion residency programs, festivals for the diverse multicultural South Florida audience, special appearances, family and cultural expos, etc.